Numerology is the ancient art of using sacred numbers to guide you on your life path. Secrets are revealed through the unique numbers from your name and birth date. Unlock the mysteries of your personality, destiny, and true hearts desire. You will be amazed as your ancient guidance is revealed through your chart. Tarot tells the full story of the journey through the path of life. As we step along our life journey, guidance is always available through messages of the tarot. Am I on my path? What is my destiny? When will I find true love? Mysteries are revealed with our gentle tarot readings. Everyone will be thrilled to receive the loving messages that are perfect for their personal destiny. Victoria is originally from Atlanta, GA and lives and works in Los Angeles, CA. She brings her southern hospitality and laid back west coast vibe to psychic healing. A reading with Victoria feels like talking to a friend. Her goal is always to help her clients see what’s happening now and empower them to make the best choices for the future. She truly believes that when you can see the impact of your current thoughts, feelings, and actions on your potential future outcome, you are able to take control of your own destiny. It’s Victoria’s joy to be able to share her gifts and help you walk a smoother road in the path of life. When she was a child, Victoria noticed that she could feel how other people around her were feeling. She used this gift to help understand the people in her life but never realized it was psychic guidance. As she became older, she would always seem to “know” what was at the heart of situations and conflicts in her life and the lives of her family and friends. She now uses her gifts to help people see clearly the underlying factors that are causing the events in their lives to occur, and offers advice on changes that can improve their situation. She has been formally trained in practical tarot, and blends it with her intuition and knowledge of numerology and astrology to provide precise and accurate readings to her clients. Victoria’s readings and advice are always gentle, kind and delivered with positive energy. She loves giving inspirational readings on love, career, money, destiny and just plain old fun topics! CLICK HERE to watch her weekly Tarot reading! Today, you will overcome something that has been of great stress to you. That party you were planning will finally be complete with the discovery of a brand new idea for an event activity. This idea will evoke feelings of love and appreciation towards you from others, as all of your friends will cherish you for finding it. As these warm feelings fill your heart, soul, and mind, remember to stay humble. The power of your discovery will lead to happiness for all involved. This flow of positive energy may be intoxicating, so embrace it, but walk lightly with it. Long story short, you discovered Vita Perfetta’s Astrology Party! You and your friends will learn about your astrological signs in a night of fun that delves deeper into the universe than a NASA astronaut. Find out what your sign means for you, which signs you are most compatible with, and how that could improve your relationships! Get insight into your day, week, or month, with horoscope readings linked to the traits that the stars gave you through your birth date! Is everyone always saying you’re SUCH a Samantha? We will also tell you which celebrities share a sign with you. If you’ve always felt a strong connection to Taylor Swift, or thought you had something in common with The Rock…you may have been correct all along! 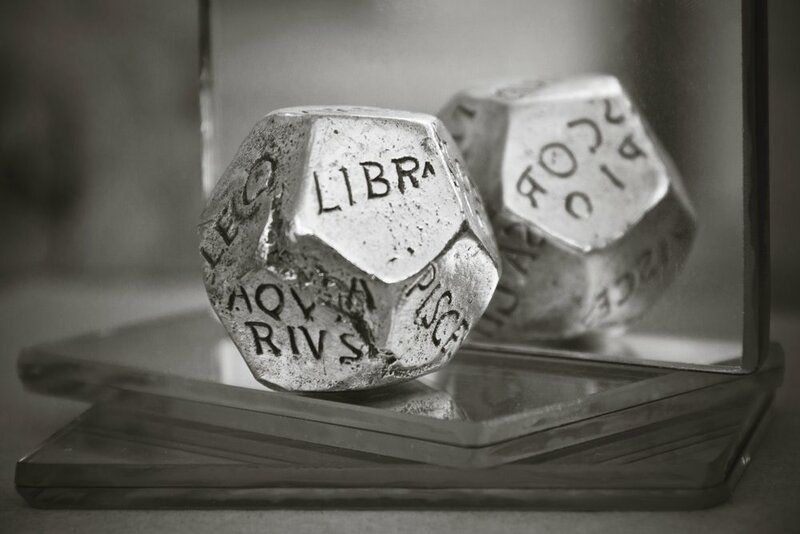 For a great time that was written in the stars, make your party an Astrology Party! *Disclaimer: Numerology and/or Tarot Readings are for entertainment purposes only and are never a substitute for medical, psychological, financial, or legal counseling. The information provided in a Numerology and/or Tarot readings are not legally binding. Vita Perfetta assumes no legal liability for any damages, losses, or other consequences of any client decisions, subsequent to, or based on, Numerology and/or Tarot readings.